Tea often refers to any herb steeped in water. True tea, however, only comes from one species of plant, Camellia sinensis. Depending on how this plant is picked, processed, and stored, will determine the type of tea. This is how we get green, black/red, oolong, white, yellow, and puerh tea all from the same plant. Plants that are brewed as tea, but aren't specifically Camellia sinensis are referred to as "tisanes", of which there are many different kinds. Tea has been consumed by humans for thousands of years, likely starting in China. It's said to have been discovered by a Chinese emperor named Shennong. He believed that water was cleaner if it was boiled, so only consumed his water in this way. When a leaf from a nearby tea tree fell in his cup of hot water he was amazed by the flavour. As the years went on, and people started to move around, companies like the East India trading company, and the Dutch trading company began to ship tea all over the world. It has since become one of the most widely consumed beverages in the world. In the UK for example, it's estimated that 84% of the population drink tea on a daily basis. There are virtually unlimited combinations that can go in to a particular type of tea. This is what makes tea so complex and why so many people are able to discover a flavour they can enjoy. There are many health benefits to drinking tea. It's full of antioxidants which have a wide range of protective actions on their own. On top of this, tea contains tannins, L-theanine, caffeine, vitamins & minerals, and polyphenols. All of these compounds have medicinal benefit to offer in one form or another. Something that needs to be considered when drinking tea for health is how long the tea is steeped for. Short steeping times is generally preferred for flavour, but often lacks the heavier, and less water soluble compounds like the catechins, caffeine, and minerals. Shorter steeping times will contain many of the lighter antioxidants, essential oils, L-theanine, and some caffeine and catechin content however and is still useful as a daily health promoter. Perhaps the heaviest hitter in terms of health is matcha green tea. This is because the entire leaf is consumed, rather than steeped, leaving nothing behind. Each type of tea requires slightly different brewing techniques in order to maintain the best flavor. The simplest way is to simply add a small amount of tea to a teapot, infuser, or in a tea bag, and pour hot water over them. Allow the tea to infuse for 2-5 minutes and then remove the tea and enjoy. In each section we will discuss the various different tweaks you can make to each kind of tea in order to achieve the best flavour. There are also several different philosophies when it comes to tea brewing based on culture and personal preference. Western style tea brewing tends to use smaller amounts of leaves, and a longer brewing time (about 1g per 250 mL water, and 2-3 minutes). While this conserves tea better, it doesn't lend much to the flavour. This style will produce a more biter and astringent tea than Asian gongfu style. Gongfu style brewing is the traditional Chinese method of brewing tea. It uses much more tea leaves than Wester style (about 6g per 250mL water) and much shorter brewing times (45 seconds). This will produce a much more herby, and sweeter tea. Although it uses roughly 6 times the amount of tea leaves, it can be re-steeped as many as a dozen times, each one producing slightly different flavours as the chemistry is extracted from the leaves. Camellia sinensis comes in a few different varieties, each with their own characteristic look and flavour. This species is most common In China. This variety has smaller leaves, can live for hundreds or thousands of years, and produces a very delicate tea. Most common in Cambodia. It is basically a hybrid of China and Assam varieties, and delivers qualities from both. Most common in India and Sri Lanka. The assam variety produces a stronger flavor, more earthy tones, and has larger leaves. Its lifespan is around 4 decades or so. Assam is commonly seen in black teas, but can also be found in greens, oolongs, and white. These varieties are found mainly in China. They are not very common, and are usually used to make high quality puerh. Green tea is made from the unfermented (unoxidized) leaves from the Camellia sinensis plant. This helps maintain more of the original herby flavour in the fresh leaves. Once the leaves are plucked, they're heated and dried. The reason for heating is to stop the oxidization process before it changes the phytochemistry and flavour of the plant. This process can vary a lot depending on the country its processed, and the manufacturer. The main difference between Japanese and Chinese teas is in how they heat the leaves. In Japan, the leaves are steamed and dried with gentle heat. This effectively halts the oxidative processes and maintains the teas fresh herby flavor. In China, the process usually involves pan frying and then drying. This often leaves some oxidase enzymes viable and imparts a slight roasty or smoky flavor to the leaves. Green tea has a complex flavour that can easily become bitter and astringent if brewed incorrectly. Most tea experts recommend lower temperatures, and shorter brew times for green tea compared to oolong or black teas. This will produce a delicate, herby flavour with sweet undertones. When brewing green tea, the generally agreed upon ratio is about 1:85. In other words... 3g of tea for every 250 ml (1 cup) of water. Generally, about 70C is perfect. Getting the right temperature is important because if the temperature is too high, the astringent, bitter tannins (polyphenols) will dissolve into the tea more readily. This affects the teas flavour, causing it to taste bitter and astringent. For finely ground tea, infusion times are about 1-2 minutes, and with coarser grinds about 2-4 minutes. This can be shortened or lengthened according to preference. There are some exceptions to these guidelines (such as Gyokuro), which are listed in the descriptions below. Japanese. Raw green tea, Contains all parts of the tea plant. It is the half finished products used for Sencha and Gyokuro. Japanese. The leaves in this style are steamed for the shortest time, which is considered more of the traditional technique. This process is much more gentle, and therefore commonly used on the higher grades of tea. The dry leaves appear large, and needle like with a golden-green liquor produced. Japanese style. Australian sencha is grown in the northern Daintree rainforests of Australia, then sent to Japan to be processed in the traditional style with steam processing. It produces a very green, vegetal, and sweet tea. The brewing time is similar to other green teas, except due to its delicate nature, should be brewed with slightly lower temperature, somewhere around 70 C.
Japanese. Lower grade Sencha. 3rd or 4th flush tea picked at the end of Summer or Autumn. This is the common tea drunk throughout the day and goes well with food. It is less aromatic, and more astringent than sencha. Chinese. Also know as "green snail spring". Chinese. The Chinese name, Lung Ching, translates to Dragonwell. It's a variety of pan-roasted green tea from the Longjing village of China. It's become one of China's most iconic green teas, producing reliably high quality for many years. Japanese. This is a modern style of sencha. This tea is steamed for the longest amount of time (nearly double asamushi). This process is not as gentle as asamushi, and is more often used on leaves not suited for that style. This style produces less needle like tea, and more powder. It is generally less bitter, and due to the powder, more constituents are extracted, making the infusion darker, and contains more nutrients. Japanese. Instant powdered tea. Milled green tea. Japanese. Brown rice tea. Roasted and popped brown rice, with green tea (usually Bancha or Sencha), and often mixed with Matcha (matcha iri genmaicha) to improve colour. Commonly served in sushi restaurants. Generally, a higher temperature is used to brew this type of tea in order to get the full flavour out of the rice. Chinese. Also known as zucha is an essential ingredient in Maghrebi mint tea. This tea is characteristically rolled into small round pellets. Doing this allows the inside of the leaves to remain protected, in order to release more flavor when it comes time to infuse. When added to water the balls unfurl and release their flavour slowly. Taste is very fresh, with mellow aftertaste. Japanese. This rare tea (also known as tamaryokucha) is quite famousfor its rarity, and sweet taste. Guricha is pretty much exclusively produced in Ureshino, Kyusu. The sweetness found in this tea owes itself to its processing technique, skipping the final kneading process, which in turn leaves the dried tea in a unique comma shaped ball. Japanese. Considered a very high grade tea in Japan. This is a Sencha tea that is grown in complete shade for the final 2 or more weeks of growth. This process increases the amino acid Theanine, as well as the alkaloid caffeine, while reducing catechin content (therefore reducing astringency and bitterness while revealing the sweet undertones that green tea has to offer). The brewing process of this tea is slightly different in order to achieve best results. A little more tea should be used as compared to Sencha, and water temperature should be maintained at 50-60C (slightly cooler than the 75C recommended for Sencha and other teas), and infusion time should be slightly shorter than sencha. It tends to have a very fine line between perfectly brewed and over brewed. Properly brewed gyokuro is heavenly and all should have a chance to taste this amazing tea. The price of this tea is usually much higher compared to Sencha. Japanese. Green tea (usually Bancha), roasted over charcoal. This process leaves the tea with less caffeine, and tannin, and provides a nutty, toasty flavour, and produces a dark, brown color, which is uncommon for green teas in general. The pan frying (roasting) technique is similar to the method the Chinese usually use with their teas, except with a Japanese grown tea giving a completly different flavor. To brew, use a higher temperature (95C), and short brewing time (15-30 seconds), and can be reused a couple of times if brewed this way. This tea is commonly drunk before bed, or during a meal. Chinese. This tea is very labor intensive, and is generally quite expensive for high quality cuts. As the leaves are layed out to dry, fresh, handpicked jasmine flowers are scattered over the leaves to infuse their aroma, to then be hand picked off the next day. Low quality jasmine teas will have jasmine flowers still in the finished product, which will impart a bitter flavor to the tea. Only the aroma is desired when making quality jasmine green tea. Japanese. This tea is very similar to Gyokuro, however it is only shaded for one week before harvesting. It is a good mix between the rich flavor of gyokuro, and the refreshing taste of sencha. Japanese. Pan fired. Not bitter. Japanese. Made from the dust, and smallest parts leftover from processing Gyokuro or Sencha. Japanese. Also known as Stem and stalk tea or bocha. Made from the leftover stems, stalks, and twigs from Gyokuro or Sencha. This tea produces a creamy, nutty flavor, and makes a light colored liquor. Avoid brewing with too high of temperatures (keep around 85C), to avoid over brewing. This tea is great for calming the stomach after a meal, and is low in caffeine by nature. Chinese. Originates from Hongzhou, and means "Dragon Well". This tea is pan fired, and is charicteristically flat in its appearence. Japanese. The fine ground tea made from Tencha. Similar cultivation process as Gyokuro. The stems and leaf veins are removed and the leaves are ground into a very fine powder (<10 data-preserve-html-node="true" microns). The entire leaf is consumed, so 100% of the leaves constituents are used as compared to <40% data-preserve-html-node="true" with most other teas. Koicha is the thickest, and most intense matcha, using about 1.5-2 tsp of matcha to 40 ml of water and is stirred slowly but thoroughly to avoid bubbles. Usucha includes a krema (foam) at the top. 2 tsp to 50 ml of water. The matcha is stirred rigourously in order to achieve the krema on the top. Japanese. Genmaicha style tea with added matcha to improve color, and add extra green tea flavor. Japanese. Buds and tips of early crops. Graded between Gyokuro and Sencha. Chinese. Also called green top. Comes from Tian Mu. Japanese tea, most common tea drunk in Japan. It represents 80% of all tea produced in Japan. There are many different kinds and grades of Sencha, as talked about elsewhere on this page. This tea is grown from the same trees gyokuro comes from, but is not shaded in the final weeks before harvest, and therefore contain higher catechins, and lower amounts of l-theanine. The steaming of sencha only takes about 15-20 seconds in order to stop the oxidation process, while still maintaining the leaves fresh flavor. Japanese. 1st flush tea. Made from either Sencha or Gyokuro. Japanese.Also referred to as guricha, has tangy, berry-like, citrus undertones, almond aftertaste. Differs from sencha in how it is processed, which involves steam dehydration. It produces characteristically curly leaves, and different taste than other Japanese green teas. In fact the taste is suggested to be much closer to Chinese curly-leaf green teas. Japanese. Half finished products used for Matcha production. Chinese. Another name for the classic gunpowder tea. Oolong in Chinese, means "Black Dragon". Oolong teas are partially fermented (oxidized). There are green oolongs (about 20-30% oxidized), and black oolongs (about 65% oxidized). This means that oolongs can have a very wide range of flavours, and meets in the middle between black tea drinkers and green tea drinkers. Perhaps the most well-known for their oolong teas is Taiwan, although China, Japan, Korea, andNew Zealand also produce great oolong teas. Oolongs fall on a spectrum between green and black teas. It depends on how close to green or black tea a particular oolong is will determine how it should be brewed. In general, Taiwanese oolongs will be more similar to black tea, and Chinese oolongs will resemble green tea. Oolong teas that are more similar to green teas should have a shorter steeping time, somewhere around the 2 minute mark, while oolongs closer to black tea should steep longer, around the 4 minute mark. It's also important to consider how tightly rolled the tea leaves are. Tightly rolled or balled up oolongs like jade oolongs may need to steep for a few extra seconds to allow the leaves to open up and expose their leaf surfaces to the air. Oolongs have a lot of variability in temperatures, but usually hover within ten dregrees either side of 80 celsius. Allow your oolong tea to steep anywhere between 2 and 4 minutes. Depending on the level of fermentation and rolling technique this can change. Taiwan. Ali Shan is a region in Taiwan. It's considered to have a mild creamy flavour. Chinese. This tea comes from the Guangdong province of China. It's known for its ability to absorb whatever flavour its paired with. For this reason it's rare to find Dan Cong not combined with another herb, floral, or fruit. What makes this variety unique is its growth pattern. Instead of forming a thick bush like most tea varieties, it rises up on one long stem before branching out at the top. Taiwanese. This oolong is quite possibly the most similar oolong there is to black tea. It's heavily fermented, and offers a rich, mildly spicy brew. It's rare and highly sought after by oolong and black tea drinkers alike. Chinese. Huangjin Gui Means "Yellow golden flower". This refers to the light golden color it produces during the brewing process. This variety originally came from the Fujian province, but is now grown in other areas as well. Chinese. Means "water sprite". This tea comes from the Wuyi mountains of China. Taiwanese. This tea comes from the nantou region of Taiwan. It's grown at very high altitudes, which brings with it a rich character and high value. Chinese. This tea is grown in the Fujian province in China. It has characteristic creamy flavour and texture, making it highly sought after for tea manufacturers looking to add more texture to their tea blends. Jin Xuan is commonly mixed with sweetened crea, and pineapple to compliment its flavour. Chinese. Named after the Iron godess of Mercy (Guanyin). This tea is produced in both China and Taiwan, and is one of the famous of the oolong teas. The traditional brewing method is the gongfu style, using pottery teapots, and tiny cups. It's mainly grown on the high mountains in the Fujian province of China, where it's believed that monks used to use trained monkies to do the dangerous harvesting of the teas leaves. Chinese. Wuyi comes from the Wuyi mountains in China. It has a unique smokey flavour due to the method used to process the leaves. Instead of being pan-fried like most Chinese teas, Wuyi is roasted. Roasting is responsible for a chemical reaction known as the Maillard reaction. This is characteristic for anything with a roasted flavour including meat and coffee. During this process, a chemical reaction between amino acids and reducing sugars produces a characteristic aroma and browned color. This gives Wuyi hints of caramel and honey. Black teas are allowed to oxidize much more thoroughly than oolong teas or green teas. Once the tea is oxidized it's dried to stop the process of decomposition. The flavour is usually more intense with these oxidized teas, and they can handle longer brewing times and higher heat. Western culture refers to this tea as "black tea" due to the dark colour of the leaves after oxidization, however, in Asian cultures it's more commonly referred to "red tea" after the colour of the infusion. This tea was created, as a way to transport the tea longer distances, while maintaining its aroma and flavour. Producers discovered that by fermenting (oxidizing) the leaves first, and often compressing them into "cakes", the tea would last much longer, and thus were suitable to transport long distances. India is the worlds leading producer of black tea. Other top producers are Sri Lanka, as well as various African, and South American countries. To brew, a higher heat is recommended, and boiling water is fine. Steep for about 2-5 minutes depending on desired flavour. Like green tea, a longer infusion will create a more bitter, astringent tea, but not to the same extent as with green or white teas. Indian. Commonly used in blends, and a lot of it is considered low grade and used in tea bags, however there exists some high quality Assam tea as well. Sri Lanka. Generally produces strong, bold, rich flavors. Indian. Commonly referred to as the "champagne" of tea. Available in multiple flushes, whith the first flush holding the highest value. Flavored black tea. Uses bergamont essential oils to flavour the tea. One of the most popular black teas in the western world. Chinese. Large, dark, rolled leaves. Considerably smoky qualities, due to different drying technique involving smoking the leaves over a fire (usually pine wood). This imparts characteristics from the burnt wood including terpenes, and longifolene which are not present in other teas. Souchong refers to the fourth and fifth leaves of the plant, meaning they are picked further away from the highly prized buds of the plant. Smoking these leaves adds flavor to a generally unvalued tea. Indian. Masala chai is a combination of black tea, with Indian spices. Although the individual spices can vary greatly, as well as the initial source of black tea, the majority of masala chai will contain ginger, cardamom, milk, and sugar. Chinese. Grown in the Yunnan province. A classic Indian black tea of the assa variety. White teas are primarily grown in China. They're made from the buds and young leaves of the tea plant. The buds and a first few leaves are allowed to wither in natural sunlight before being lightly processed to avoid further oxidation. This type of tea is considered "slightly oxidized" or "unfermented". The reason it's called "white tea" is because the silvery white hairs on the unopened buds of the plant give is a silvery-white appearance. The infusion itself is more of a pale yellow or green colour. This style of tea provides the highest antioxidant content than the other preparations. It's also some of the most expensive teas available due to the limited number of buds that can be picked from each plant. White tea is brewed more similar to green tea than black. Lower water temperature (70-80 celsius) and 2 minutes brewing time is generally preferred. Just like green tea, longer brewing or hotter temperatures will produce a much more bitter and astringent tea. 2-4 minutes. White tea can withstand longer brewing times than green before becoming bitter. Chinese. Also known as White Hair Silver Needle tea. Most Bai Hao Yinzen tea is produced in the Fujian province in China due to its appearance. This is one of the most highly valued white teas available as it is only made from the highest quality top buds of the tea plant. Chinese. 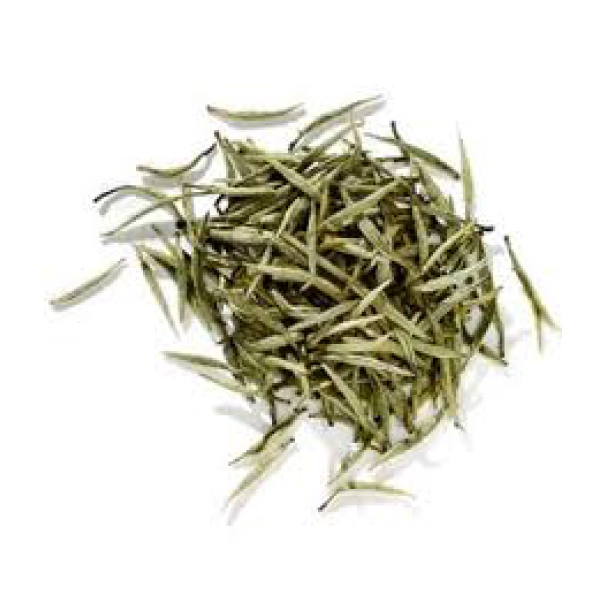 This white tea is made from plucks with one leaf shoot, 2 immediate young leaves. It has a fuller flavour and greater potency. India. Darjeeling is available in black, green, oolong, and white. Generally made from the small leaved Chines variety Camellia sinensis var. sinensis rather than most other indian teas (C. sinensis var. assamica). It has a delicate aroma, and brews to pale golden colour with a mellow taste and some sweetness. It is recommended to use a bit more tea leaves than usual when preparing this tea. It is generally grown at altitudes of about 2000 meters. Means "white peony". Picked from the secondary bud, and two closest leaves. They are sun dried, and finished with gentle heating to dry. Light bouquet and gentle, delicate flavor. China. Plucked later than Bai Mudan, causing the tea to be slightly darker in colour. China. Regarded as some of the highest quality white tea in China. This tea is hand harvested only 2 days a year. The flavour is very silky and smooth with some sweetness. Use 7-10ml per 250 ml water at 80C, steep for 4-5 minutes. If a stronger flavour is desired, use more leaves. Meaning silver needles. For this tea, the top most bud is picked early before it has opened, and handeled cautiosly to avoid damaging the fine hairs under the buds. The buds are then sun dried, and finished by heat drying. Flavour is very similar to Pai Mu Tan tea. Puerh is a fermented dark tea. It's the only tea that undergoes true fermentation involving microbes like bacteria and fungi. Other teas that are said to be fermented (blacks and oolongs) are actually just oxidized by enzymes on the leaf surface. This tea is made by aging for upwards of 3 years in cold, damp caves. Newer methods use environmental controls to speed up the fermentation process to just a few months. The differences in these processing methods are referred to as "raw" (natural), and "cooked" (cultured in a lab to quicken fermentation time). Generally, the natural method is preferred, though many can't tell the difference. Some evidence suggests that "cooked" puerh contains more medicinal value, however many tea connoisseurs prefer the flavour produced from "raw" forms. Technically, only tea produced in this way (secondary fermentation), that is made in the Yunnan province can be called Puerh, however teas made using the same methods are produced all over, with the most famous being Xishuangbanna. The tea starts as a mostly unoxidized green tea, processed from a large leaf variety of Camellia sinensis (C. sinensis var. assamica), or a different large leafed cultivar known as Da Ye or Qimau (suggested to be a new species, Camellia taliensis). These trees grow high up in the mountains of Yunnan province. In the highest quality puerh teas, the leaves of a very specific set of old trees (100+ years old) in the Yunnan province are used. The tea is then semi sun dried, and pan fried to arrest the enzyme activity and prevent oxidation. Once this is complete, the leaves are rolled, rubbed, and left in the sun to further dry. Then, the tea goes under a secondary oxidation process and fermentation involving various strains microrganisms found naturally on the leaves. Puerh can be made and fermented as loose leaf tea (quicker) or in cakes (better for long term storage and presentation). Like a fine wine, pressed puerh cakes get better with age. Generally puerh is left to ferment for 10-25 years, while some are suggested to be 50 years old or older and can be worth tens of thousands of dollars. Colour in puerh teas varies greatly from green (younger teas), to dark brown or red (older teas). The flavour can change a lot as well, becoming smoother, and more earthy in older teas. Puerh also begins to lose its astringent and grassy flavours as it ages. 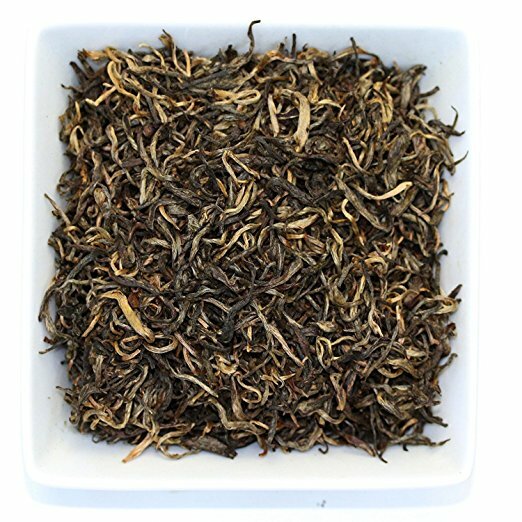 Pu-erh is easy to brew because it doesn't tend to become bitter as easily as other teas. A very strong puerh will have a flavour more similar to coffee, and is still enjoyable. The traditional Chinese way of brewing, however, involves very short brewing times (20-40 seconds). Special Yixing tea pots and tiny cups are used for this process. The Western method is similar to black tea, using 1-3g of puerh per 250mL, hot water, and steeping time between 2 and 4 minutes depending on how strong you want the tea to taste. Anywhere from 20 seconds to 4 minutes. Chinese. Raw, un pressed puerh. Has not been secondarily fermented yet, though can be consumed as is but will not deliver the dark, earthy characteristics of puerh. Chinese. This is basically raw, Mao Cha that has been pressed into cakes of various shapes. This has not been through the secondary fermentation yet, and thus is often bought, and stored for decades to be drunk later in life. It can however be drunk as is, but will resemble green tea more than it will the earthy, fermented puerh teas. This is a broad term to refer to all unfermented puerh cakes in pressed form. Chinese. This is Sheng Cha that has undergone the secondary fermentation process. These categories are a broad term to descripe a variety of puerh types. This kind of tea is very rare, and is only produced in China. The bud and first leaf are plucked, heated, and wrapped in paper to allow a slow dry over the course of several days or more, before being heat dried in the final step. This tea will generally produce a yellow infusion, with a mild, sweet taste. Compared to green tea it has a lower caffeine content, and is sweeter in taste. Yellow tea should be brewed with lower temperature (around 70 degrees celsius), and steeped for a longer period of time than green teas (2-3 minutes). This tea should be very light and mild in flavour. This is one of most well known yellow teas in China. 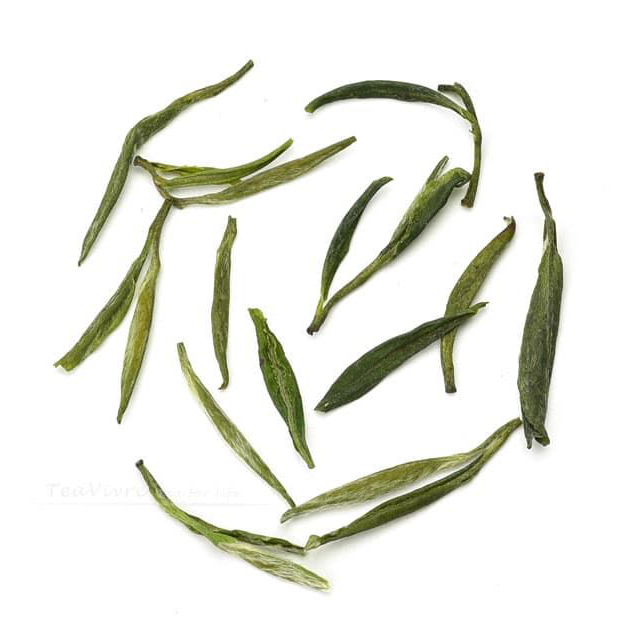 True Meng Ding Huang Ya leaves are picked from mount Meng, and only the most valuable leaf buds are chosen. Chinese. Hup Shan tea refers to any tea grown in the Huo Shan county. Chinese. Subtle herby flavoured tea from the Huo Shan county in Anhui province. Chinese. This tea is very similar to a white tea, and is sometimes sold as one. It's translated as "Silver Needles of the Gentleman Mountain". It closely resembles the white Yinzen, known as Bai Hao Yinzen. This tea is very rare and often sells for a high price. The same trees used to produce this tea are also grown on the Dongting Lake, but are not considered to be true Jun Shan Yin Zhen. Light and fresh flavoured yellow tea. These teas add extra visual enjoyment to the tea process. Different flowers, including amaranth, or jasmine, are bound together with tea buds (white or green), and dried. Once submerged in water, the flowers unravel, and rehydrate, revealing the beautiful flower and diffusing its flavour. Herbal teas are often referred to as tisanes and range drastically. Some use leaves, others flowers or fruit, and some even use barks or roots. Many provide flavour, as well as extra medicinal value. There is a lot of extra information on different herbal teas found elsewhere on this website. Some popular herbal tisanes include ginger, peppermint, lavender, and chamomile. Herbal teas can require many different styles of brewing to create the best flavour. Herbs with high essential oil content should be brewed with lower temperatures, and covered to reduce the loss of this essential oil. Other herbs with harder, woody textures such as reishi, tree barks, or seed pods will need to be brewed for longer and hotter. Chamomile tea is a well known calming, sleep promoting herbal tea. It works by increasing the effectiveness of our brains main relaxation neurotransmitter known as GABA. Chamomile contains no caffeine, and is generally free from side effects (unless directly allergic). 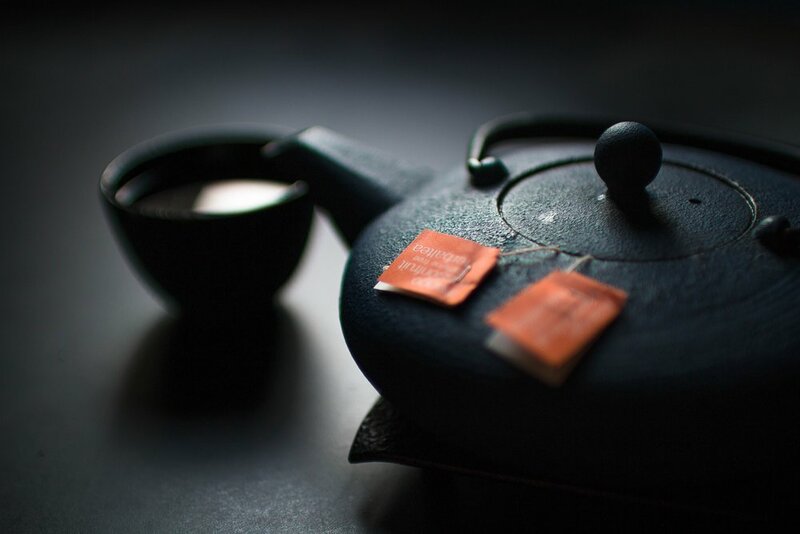 It makes for a delicious alternative to tea in the evening in order to prevent sleep disturbances induced from the caffeine content of green and black teas. Hyssop tea is not as common as many of the other teas on this list, but makes an enjoyable cup of non-caffeinated tea. It's a member of the mint family, and as such has a high essential oil content. Many people drink this tea when they are sick to help loosen the mucus in the lungs and speed up recovery. It was a favourite in ancient mediterranean cultures where it originated. Lemon myrtle has a strong citrus flavour. It lacks caffeine, and offers soothing effects for sore throats. Many of the volatile compounds contained in the plant have antimicrobial benefits, making it a great choice for those suffering from colds and flus. Peppermint tea is a classic. It's non-caffeinated, and delicious. It makes for a great tea to drink after a heavy meal to eliminate bloating and gas. Passionflower originates from the Amazon rainforest. The leaves of the vine are made into a sweet and herby flavoured tea. Constituents in the leaves have MAO inhibitory activity, making it useful for anxiety, insomnia, and high levels of stress. Rooibos tea is likely the most popular herbal tea. It has a mild flavour that tends to adopt the flavours of other ingredients in the mix. For this reason, most rooibos tea is a blend involving other herbs as well. There is something for everyone when it comes to rooibos. Rooibos tea also has many alleged health benefits, most likely stemming from its high antioxidant potential. It's caffeine free, and widely available. Yerba maté is made from the leaves of a large South American tree. It's a popular, highly caffeinated tea, especially in South America. It's consumed with a special cup known as a maté, and a straw with a filter on the end (bombilla). Traditionally this was a drink for social gatherings where the maté would be shared among the group. Yerba maté is highly antioxidant, and stimulating. Unlike coffee, the caffeine is well balanced by another alkaloid found in chocolate known as theobromine. The balance of these two alkaloids makes the effects of yerba maté more controlled than coffee. It promotes wakefulness without causing jitteriness or anxiety. Let us know if there's anything we should add to this list of tea. We're continually collecting information and looking to try new teas.